Do you consider a pre nup unromantic? The dilemma of marriage if life has thrown good financial fortune your way can be addressed by entering a pre-nup before the wedding; the law will consider the fairness of applying the terms of the agreement on any subsequent divorce. It is the Rolls Royce of keeping your Bentley collection out of the pot to be divvied out if it does not work out. But isn’t it unromantic? Who wants to see a grey solicitor before the big white wedding day? Try an accountant instead. Really? 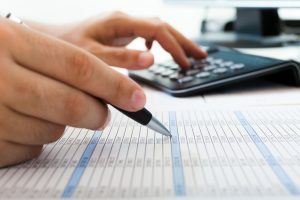 Perhaps not, but your solicitor, used to dealing with family issues, could point you in the direction of an accountant if your family (who has the family company or other resources), wants to structure assets in such a way as to ensure the marriage is being entered from the best of motives. It is possible just to structure your assets to control (theoretically) their being attacked in divorce, it is called a Family Investment Company. A family investment company enables you to pass significant wealth to the next generation, while retaining control and protection of assets. The advantages of a family investment company, include no upfront inheritance tax charges; tax efficient accumulation of profits and providing the founders with total control over investment decisions, while the value of the assets in the form of shares are passed to the next generation. It can grant shares to a family member, without grant of ownership of the underlying assets or exclude transfer of shares to certain classes of person, such as a spouse. The latter might deter a divorce court from making a property adjustment order concerning such shares. Michael Brennan, a family law solicitor at Stonehewer Moss solicitors in Cheshire, can advise on pre-nups and refer to specialist accountants should you wish to consider the Articulated Lorry option for protecting your car collection. For further details, please telephone us on: 01606872200, or e-mail: michael.brennan@stonehewermoss.co.uk. You can also visit our website at www.stonehewermoss.co.uk. This article was added on Thursday, October 22nd, 2015 at 9:51 am and is categorised under Child arrangements, cohabitation disputes, Divorce, Family finances, Family Law, General News. Both comments and pings are currently closed. Error: Error validating access token: Session has expired on Saturday, 09-Mar-19 13:12:58 PST. The current time is Thursday, 25-Apr-19 21:44:47 PDT.